LOS ANGELES - Mr. Kuma is going to make all the other dogs jealous on Halloween this year because he has the coolest costume ever. His first attempt didn’t work out too well but with extra breathing holes and larger eyes, Akhtar was able to perfect the mask. Akhtar even attended a pop-up event in Los Angeles that featured artists who helped design masks and costumes for "Black Panther" and managed to get Kuma's mask signed. The final print for Kuma’s mask took a little more than 30 hours to finish. 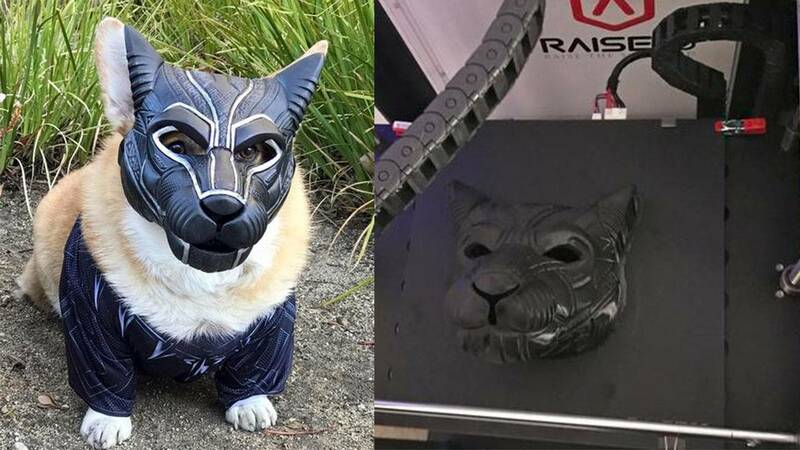 Add an XXS “Black Panther” T-shirt and a corgi star is born. See more on how the mask was made here.